The House of Gucci, better known as simply Gucci, is an Italian French-owned iconic fashion and leather goods label. It was founded by Guccio Gucci (b.1881 - d.1953) in Florence in 1906. Gucci is considered one of the most famous, prestigious, and easily recognizable fashion brands in the world. In 1921, Guccio Gucci opens a leather goods company and small luggage store in his native Florence. Having spent years working in London's Savoy Hotel, he had absorbed the refined aesthetic of English nobility, and introduces this sensibility in Italy through exclusive leather goods created and produced by the master craftsmanship of Tuscan artisans.. Faced with a shortage of standard materials during the difficult years of Fascist dictatorship in Italy, Gucci establishes itself as an enterprise synonymous with exceptional creativity and resourcefulness. The "Bamboo Bag" is introduced, becoming one of the first of Gucci's many iconic products. A favorite of royalty and celebrity alike, the bag is still available today. During the 1950s, the trademark green-red-green web, which is derived from the saddle girth, becomes a great success and remains one of the most familiar identifiers of the brand. With stores opening in Milan and New York, Gucci starts to build a global presence as a symbol of modern luxury. Guccio Gucci dies in 1953. His sons Aldo, Vasco, Ugo and Rodolfo take over the business. 1960s: Gucci introduces products that are cherished by the most iconic figures of the time and become renown for timeless design. Jackie Kennedy carries the Gucci shoulder bag, which is known today as the ? ?Jackie O’. Liz Taylor, Peter Sellers and Samuel Beckett wear the unstructured, unisex 'Hobo Bag.' The classic moccasin with horsebit hardware becomes part of the permanent collection at the Costume Institute, Metropolitan Museum of Art in New York. The Flora silk print scarf is created for Grace Kelly. Gucci continues its expansion abroad with stores opening in London, Palm Beach, Paris and Beverly Hills. In the mid 60s, Gucci adopts the legendary interlocking double 'G' logo. Gucci continues its global expansion, true to the original aspirations of Aldo, now targeting the Far East. Stores open in Tokyo and Hong Kong. The company increases and diversifies production, carrying out significant research on new more luxurious materials and innovative approaches to design never tabling the legendary quality and craftsmanship synonymous with the brand. The great classics are revamped in new shapes and colors, and new product categories are introduced. In 1982, Gucci becomes a public limited company, and leadership is passed to Rodolfo's son, Maurizio Gucci, who holds 50 percent of the shares. In 1984, Domenico De Sole becomes president of Gucci America. Investcorp, a Bahrain-based investment company, purchases the remaining 50 percent belonging to Aldo Gucci and his descendants in the late 80s. 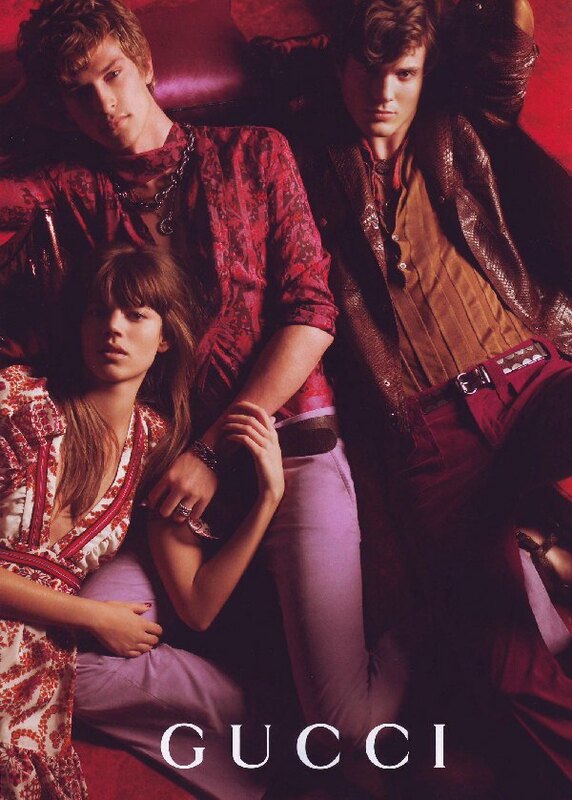 Gucci is relaunched to global renown through a groundbreaking mix of tradition and innovation. Tom Ford becomes creative director of Gucci in 1994 and infuses the luxury brand with a sense of daring and provocation that resonates with celebrity and accomplished elite. The stiletto, and silk cut-out jersey dresses with metallic hardware details become icons of Ford's unique vision. Domenico De Sole is appointed CEO in 1995, and Gucci makes the highly successful transformation to a fully public company. Gucci is named "European Company of the year 1998" by the European Business Press Federation for its economic and financial performance, strategic vision and management quality. 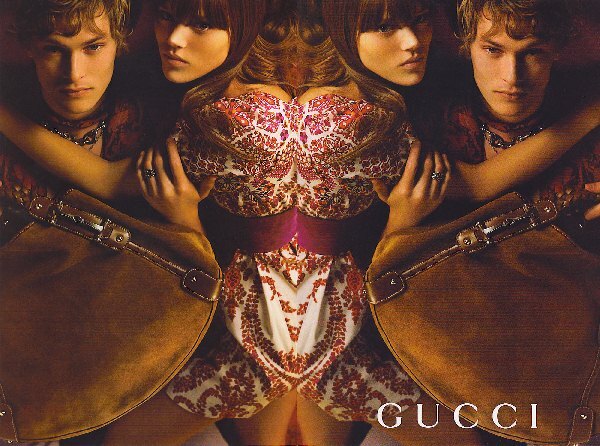 In 1999, Gucci enters into a strategic alliance with Pinault-Printemps-Redoute and transforms itself from a single brand company into a multibrand group. After De Sole and Ford left their posts in 2004, Mark Lee is appointed President and CEO of Gucci division in 2005. Today, creative direction of Gucci is the responsibility of Frida Giannini and Gucci continues to explore its roots. "La Pelle Guccissima" - an entirely original, heat-printed signature leather - has been launched under Giannini’s direction, and is destined to become the label's next icon, expressing in its workmanship and impeccable quality a strength that is singularly Gucci's. Click here to browse the Art History Archive. Looking to Advertise?